KATHMANDU, Dec 05: The Helicopter Society of Nepal (HSoN) was formally inaugurated in Kathmandu in Tuesday. The society was established in October with an aim to provide standardized, reliable and accident free aviation service. Captain Rameshwor Thapa of Simrik Air, the elected President of HSoN, said that the organization will help the government build helipads at all the local levels if the government wishes to do so by providing technical assistance. During the inauguration, Minister of Culture, Tourism and Civil Aviation Rabindra Adhikari, said that the government does have plans to construct helipads at the local levels and expected HSoN to provide the necessary support. He also took the opportunity to mention that the government is formulating plans to expand Nepal Airlines Corporation’s service in the international market. Minister Adhikari also mentioned that the government will soon hold talks with the European Union to remove Nepal’s aviation sector from the EU’s safety list. 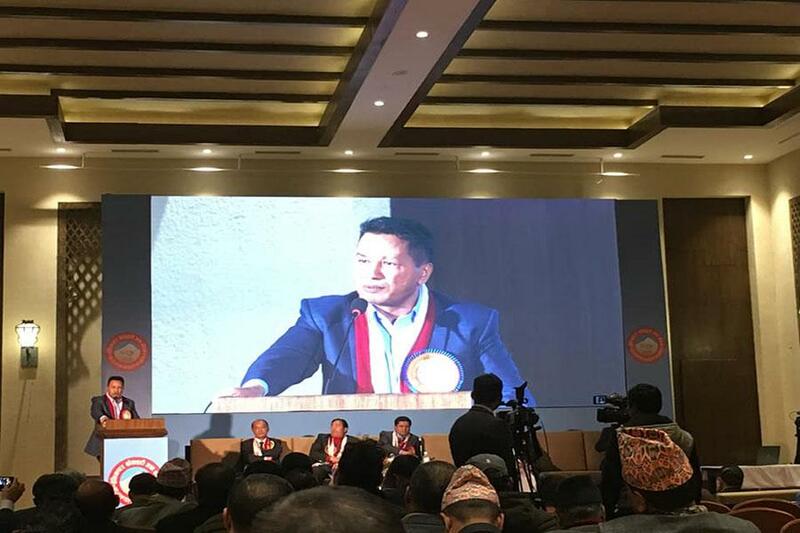 Meanwhile, HSoN has elected Ang Tshering Sherpa, Managing Director of Yeti Airlines and President of Air Dynasty and Satish Prasad Pradhan, Executive President of Manang Air, as Vice-President of the organisation. Similarly, Yograj Kandel, CEO of Heli Everest, has been appointed as general secretary and Pratap Jung Pandey, managing director of Kailash Helicopter, as treasurer. Also, Binod Thakali of Prabhu Helicopter, Anil Manandhar of Shree Airlines and Nimaniru Sherpa of Altitude Air have been elected as members. During the programme HSoN also felicitated nine persons who have made a significant contribution in the helicopter sector as captains, pilots, engineers and air traffic controllers.